One of the few remaining Lowland whisky distilleries, Auchentoshan is known for triple-distilling their spirit, resulting in a light, elegant personality. As such, their whisky often works wonders in cocktails, which is just what White Lyan/Dandelyan mastermind Ryan Chetiyawardana is mixing up on the label of our Auchentoshan. 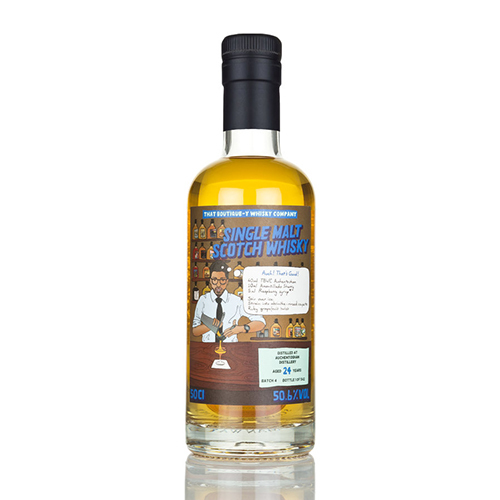 Follow along with his recipe and enjoy - or simply savour the luscious Lowland whisky neat! Your call. We’re not going to tell you what to do. Nose: Waxy orange and lemon peels, nectarine and cut grass. Palate: Spicy barley and oak, mixed with freshly-baked sponge cake and marmalade. Finish: A touch of chocolate and red wine appear late on the finish.